Well here’s a thing now, to gladden the heart and be amazed. 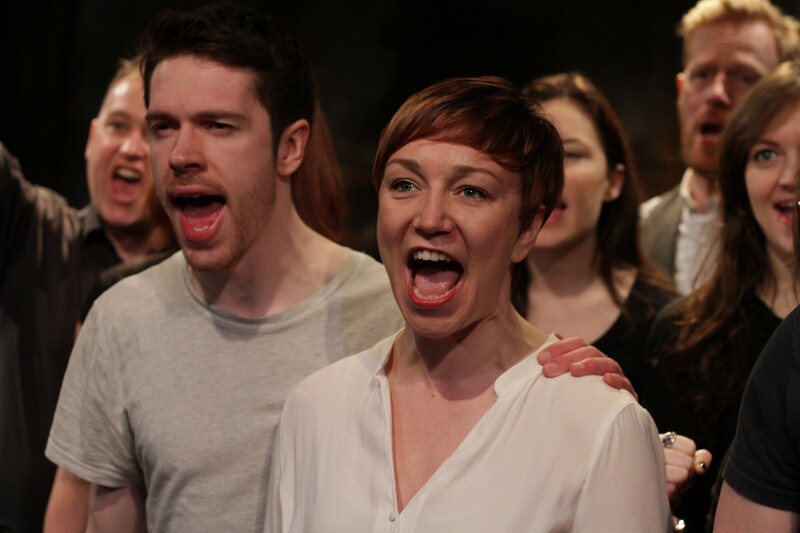 Finborough’s Neil McPherson has taken on nothing less than the full Margaretta D’Arcy and John Arden six-part epic relating to James Connolly, Republican, socialist and leader of the Easter Rising, executed by firing squad for his pains. Connolly, the son of poor Irish immigrants in Edinburgh, came to regard the capitalist system as anathema. What might he have thought were he alive today? The parallels between then, early 19th century, D’Arcy and Arden’s re-imagining of Connolly’s political development, written in the mid 1970s when British politics too was in ferment, and now is just one of the many fascinations on offer here. D’Arcy and Arden themselves remain the ones who got away, outside the mainstream despite Arden’s success with plays such as Sergeant Musgrave’s Dance, Armstrong’s Last Goodnight and Live Like Pigs. A veritable thorn in the British theatrical establishment, it’s a delight if a reminder of our loss to once again taste the fruits of their labour in this stylish, rhyming, unashamedly socialist account of Connolly’s story. Though described as a rehearsed reading, the cast, scripts in hand, are fully up to the task. There’s sharp character definition and passion in even the smallest exchange as Connolly emerges from an impoverished childhood – sent to work at 11 – and begins his political education through family ties and personal experience, nowhere more so than by joining the British Army where, sent to Ireland during the land evictions, he is witness to its cruelties. Home Rule is in the air and with it the rising tide of Irish socialism. His convictions and trade unionism are further deepened when he returns to Scotland – with an Irish Protestant wife – and where, despite a stammer, he begins to become a political activist and public speaker. Sadly, only Parts One and Two, Boyhood and Apprenticeship, are covered in this review, the rest being covered during the next two Sunday and Mondays and finally the whole shebang over the weekend of April 23/24. First performed at Liberty Hall, Dublin on Saturday March 29, 1975 and Sunday, March 30, 1976; later performed at the Almost Free Theatre in 1976 from May 17 to June 19. First perf at the Finborough, Monday, April 4, 2016. 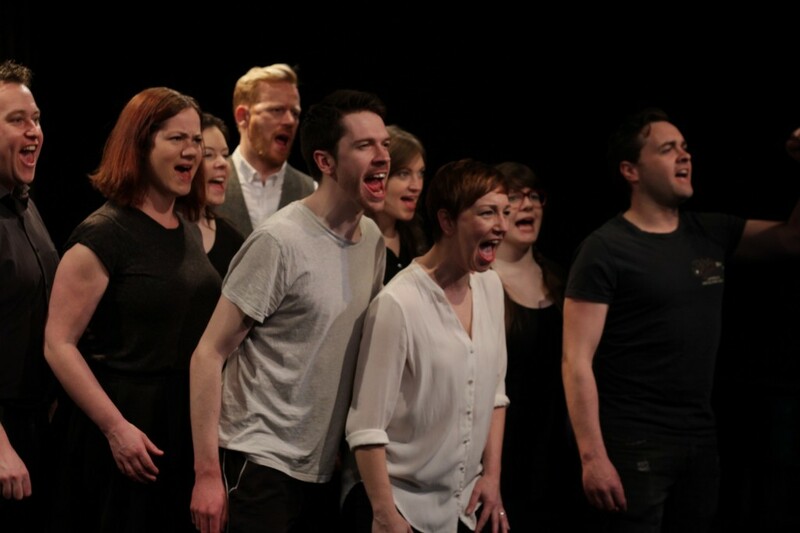 This entry was posted in 2016, Reviews and tagged epic left wing history, Finborough, Home Rule, Irish Easter Rising, James Connolly, John Arden, Margaretta D'Arcy, Neil McPherson, rehearsed reading on April 10, 2016 by Carole Woddis.